We are proud to support our BRAVE client, RDPETRO: Research and Development Petroleum Conference and Exhibition the largest oil and gas conference in the world fully dedicated to research and development, that took place in Abu Dhabi on May 13 and 14. World-renowned business and innovation speaker Dan Cobley was the keynote speaker for the opening ceremony. His address at RDPETRO 2018 centered on how global tech leaders and start-ups drive innovation and disrupt traditional approaches to find transformative solutions to major problems, and where these are applicable in the oil and gas industry. 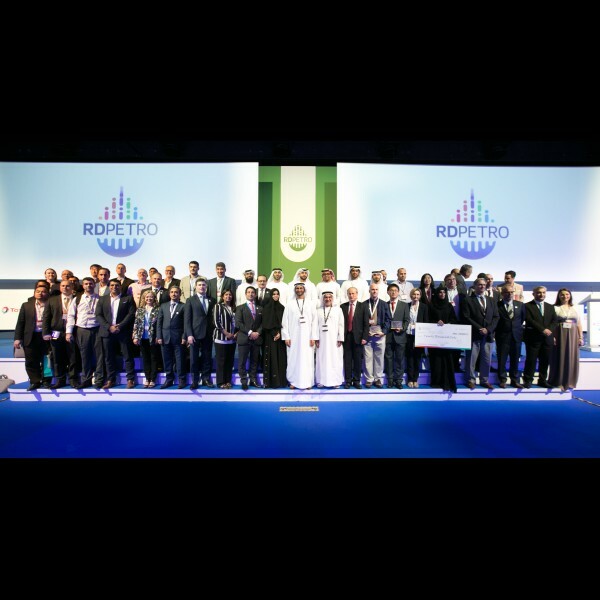 More than 500 delegates attended the RDPETRO Awards ceremony held on May 14thcelebrating research and development (R&D) that provides creative solutions to oil and gas challenges, and maximizes value. RDPETRO is where technology innovators, startups and academia competed for and gain access to funding to develop their projects. The event fostered closer collaboration across industries and enables leading oil and gas companies to source and invest in innovative solutions and new technologies that unlock and optimize oil and gas resources, and create value.